Various disciplines have examined the role of urban greenspace in delivering a wide array of social-ecological values to urban residents. 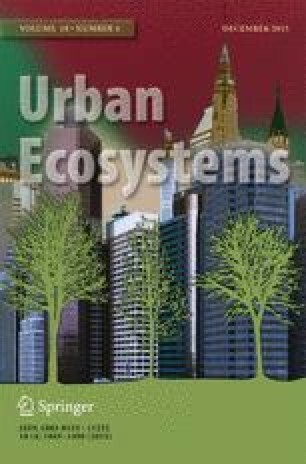 This semi-systematic review of 50 studies assesses how links between the social and ecological qualities of urban greenspace have been measured to establish social-ecological values, and what qualities researchers have used to define greenspace type. Our review identified that differences in the definition and measurement of greenspace and its ecological and social qualities can have a profound impact on interpretations of greenspace value. We argue that it is critical to acknowledge the heterogeneity among different greenspace types, and to use suitable metrics of greenspace ecological and social quality accordingly. We present a heterarchical typology of greenspace qualities (rather than a hierarchical typology of urban greenspaces) that can be used to define greenspace type and identify research clusters, gaps and emerging lines of inquiry into the social-ecological values of greenspace. The online version of this article (doi: 10.1007/s11252-015-0456-6) contains supplementary material, which is available to authorized users. This research was funded by an Australian Postgraduate Award and a Charles Sturt University, Institute for Land, Water and Society Scholarship to Ashlea Hunter. The contribution of Gary Luck was supported by an Australian Research Council Future Fellowship (FT0990436). Thanks to Jonathon Howard and two referees for constructive comments on the review. The authors declare there are no conflicts of interest.